The second Hot Dog Cart and a third will follow 2019. 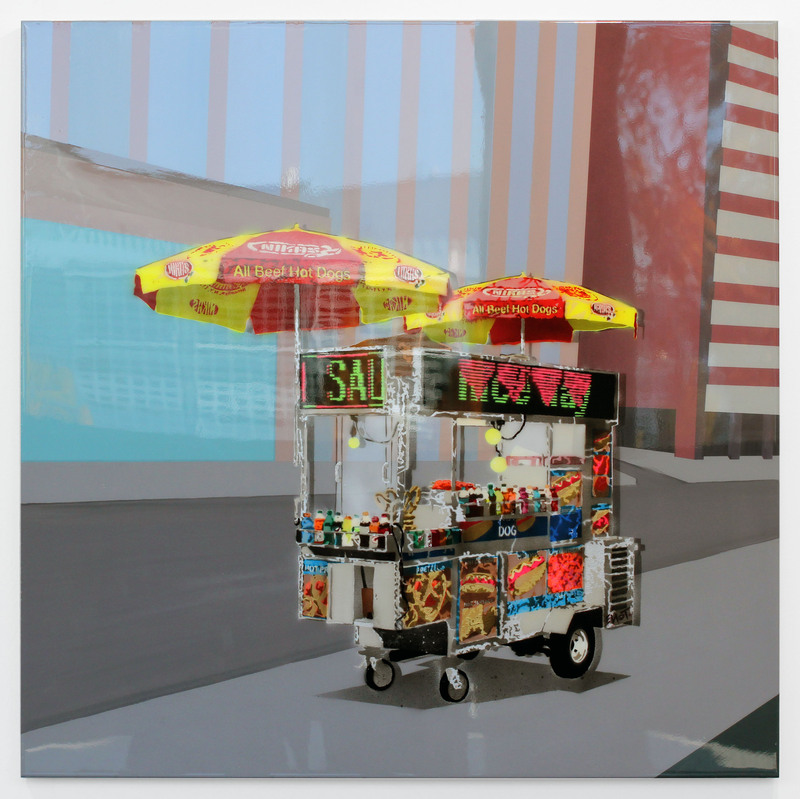 Inspired by a NYC trip, I took tons of pictures of one of the cities most icons: Streetfood Hot Dog Carts. 100 x 100 cm, acrylic painted background, spray painted stencil and high gloss finis with pured resin.